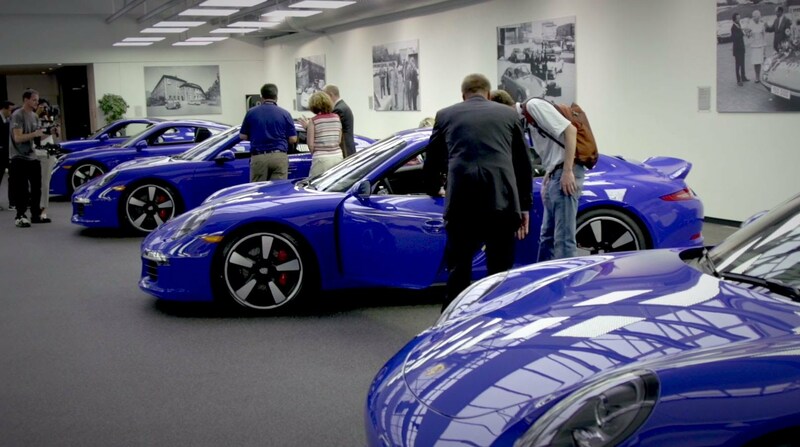 Last month, Porsche hosted a special delivery event for the Porsche Club of America. 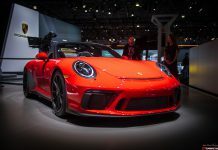 During the delivery event, five units of the limited edition Porsche 911 GTS Club Coupe were presented to the attendees at the company’s headquarters in Zuffenhausen, Germany. 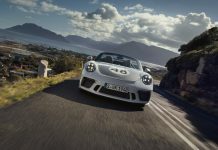 As the name implies, the car is based around the typical 911 GTS but was produced to celebrate the 60th anniversary of the Porsche Club of America and only 60 examples will be produced. All will be painted in Club Blau and helping to distinguish the car from the ‘regular’ 911 GTS is the Porsche SportDesign package. That kit normally costs $4990 but comes standard on the Porsche 911 GTS Gran Coupe. It includes a prominent ducktail spoiler as well as a set of 20-inch Fuchs-inspired Sport Classic wheels. In the cabin, all 60 examples of the German sports car will be adorned in black alcantara with a selection of Carmine Red stitching found throughout. Elsewhere, the 911 GTS Gran Coupe includes a selection of carbon fibre elements alongside special Porsche Club of America badging. Beyond these elements, the car remains identical to the Porsche 911 GTS. Consequently, it is powered by 911’s staple 3.8-litre flat-six engine delivering a total of 424 hp. This represents a 30 hp rise of the Carrera S. As a result, the 911 GTS Gran Coupe equipped with the PDK dual-clutch transmission sprints to 100 km/h from a standstill in 4 seconds flat.